Have you been injured by a doctor who neglected to diagnose you correctly? Have you experienced the loss of a loved one because unnecessary surgeries were performed which led to a fatality? If either of the above situations applies to you or you think you were injured by medical malpractice, let the medical malpractice attorneys at the Greg Coleman Law Firm, with decades of experience, assist you. When it comes to medical malpractice, sustained injuries may forever alter injured victims lives. While some families may suffer the devastation of fatalities, injured victims might have to cope with job loss, high medical debt, outpatient treatment expenses and more. In addition, they may face the reality that their health and quality of life are permanently affected. The Greg Coleman Law Firm understands the complexities of medical malpractice claims. They believe that an important step in recovering after suffering from medical malpractice is to allow their team of personal injury lawyers to help you. With our lawyers on your side, you may be able to receive maximum compensation for your claim. According to an expert panel from the Institute of Medicine, between 44,000 and 98,000 Americans each year die from medical errors. [i] These numbers are disturbing and injured victims need to better understand exactly what medical malpractice is. If a medical professional makes a mistake while treating a patient and the patient is injured because of the medical professionals mistake, it is considered medical malpractice. Medical negligence is when a medical professional fails to act and it may lead to injury or even death. These factors come into play during the litigation process if an injured victim decides to make a claim. If you are thinking about beginning a medical malpractice lawsuit, contact the Greg Coleman Law Firm for assistance. Medical malpractice does not only refer to doctors or surgeons. Any healthcare professional may be the culprit of a medical malpractice error. Some professionals that might be included are psychiatrists, dentists, anesthesiologists, optometrists, technicians, OB/GYNs, cosmetic surgeons, nursing home caregivers, chiropractors and more. Because of the variety of healthcare industries in which medical malpractice may happen, it is a good idea to consult with a personal injury specialist at the Greg Coleman Law Firm. In order to receive compensation for your medical malpractice injuries, you must be able to prove negligence of the medical professionals who were caring for you. 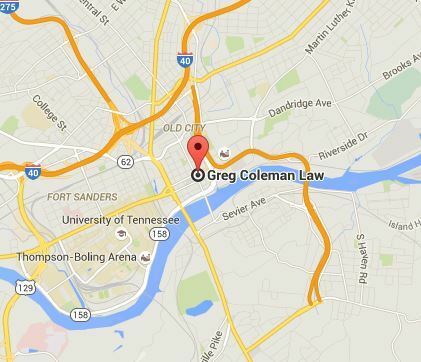 Therefore, reaching out to an experienced Tennessee legal firm like Greg Coleman Law is a good idea. We can help review your claim and injuries to determine if your case may be eligible for fair and just compensation. Spend time researching your medical provider. Ask around for referrals from trusted friends and family. Most people exert effort before making a big purchase like a home or car. Your health may be even more valuable. Therefore, take the time to do your homework when it comes to choosing a doctor or specialist. Bring someone with you to appointments who may act as an advocate. Before heading out to your medical appointment, ask someone you trust to accompany you who may speak on your behalf. You might find it helpful having a relative or friend available to take notes about any medication changes, help schedule follow up visits, and be there for you if you just need to hold someones hand. Maintain a log of medical conditions and symptoms. Whether you prefer a spiral bound notebook or an Excel document, keep track of what is going on with your health. Refer to your notes prior to a doctors visit and bring your notebook with you when go. Keep notes from previous appointments for future reference. By choosing the Greg Coleman Law Firm, you are selecting a skilled team of personal injury lawyers to work tirelessly on your behalf. With the knowledge and resources to successfully prepare your case, the attorneys at Greg Coleman Law Firm firmly believe they can help you receive fair and just compensation for your medical malpractice injuries. The main office is centrally located in Knoxville and they are licensed to practice law throughout Tennessee. 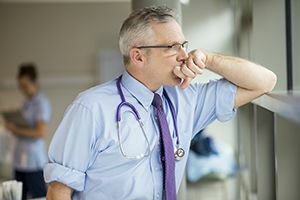 If you are tired of wondering what to do regarding your medical negligence injury, don't wait any longer to start a process that could benefit you or your loved one. Begin your journey towards compensation by contacting our firm today. Call Greg Coleman Law today at (865) 247-0080 and schedule your free case review.